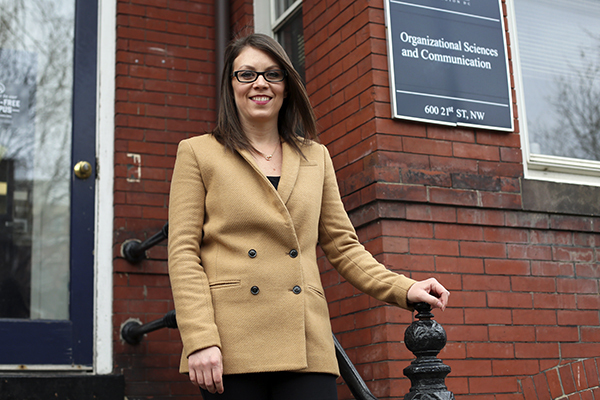 Nikki Blacksmith is a graduate student and the lead researcher on a project studying student leaders' decision-making. Researchers are studying student leaders to determine what qualities make people good at making decisions. A new study is using members and presidents of student organizations to determine what characteristics make good decision-makers and if those traits can predict an individual’s performance in an organization. Nikki Blacksmith, a graduate student and the lead researcher on the project, said she hopes the results of the study will serve as a proxy for real-world organizations and corporations. She said 22 undergraduates and one graduate research assistant have helped since the project began in 2013. She said the research assistants are contacting the student presidents of every organization on campus each semester and hope to survey about 150 presidents and 1,000 group members in total. When student leaders come in, they are assessed in a short in-person assessment and then take an online survey asking questions about their personality traits, problem-solving and how they make decisions. Blacksmith said the Center for Student Engagement is sponsoring the project and a summary of the results will also help them to learn more about their campus leaders. She said they are presenting some of their findings at a conference in April and hope to conclude the study by the end of the spring semester. Blacksmith said the project doesn’t have any funding and it has been difficult to get students to take time out of their day to voluntarily participate. She said to reward students who have participated in the project, researchers hold a raffle every semester for subjects to win $25 or $250 credit for their student organization. Student leaders are unable to comment about the research because they are subjects of the study and their comments could compromise the results. Tara Behrend, a professor of organizational sciences and a researcher on the project, said in an email that she is excited to share the results of the study once they wrap up later this year. Reeshad Dalal, the chair of the psychology department at George Mason University and a collaborator on the research, said this project is testing decision-making confidence and the theory that some people are inherently better at making choices. He said that the data collection for the research is taking years because it’s an ambitious and large-scale project.